Canadian Murray Gillespie talks about his collection. I would saw the Bond Bug really got me after I attended the 25th Anniversary James Bond Exhibit at The MOMA (Museum of Modern Art) in New York in the Summer of 1987. 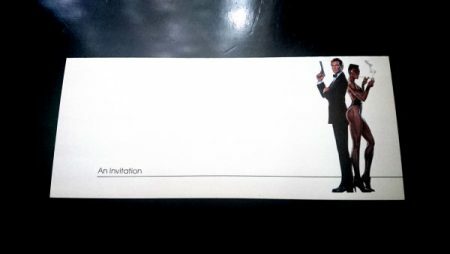 I would venture to say that my favourite item is likely the Premiere Invitiation to A View to a Kill in 1985. It was the first Canadian premiere I attended and one of the items I’ve had the longest, so it’s quite special to me. 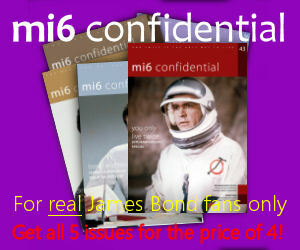 I would really like to add to my Collection the UK Double Crown Posters for Dr No and Goldfinger. They are the perfect size for framing, very unique, and quite rare. I’d like to get a hold of them to go with the Thunderball poster I already have. The biggest obstacle is knowing what to buy, and having a discerning eye on what to purchase and what to let go. Beware of fakes, know the provenance and pick your items carefully. 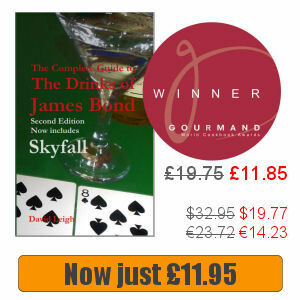 Collecting 007 can be very expensive!! I have a real penchant for Vinyl and 007 Music. 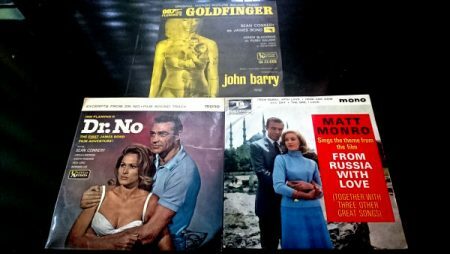 I have a cool Collection of 45 LP’s including Dr No, From Russia with Love and Goldfinger.